we’ve arrived to Autumn and we can really feel the change in temperature here. It’s been a while since we’ve done any writing here and part of it has been with intent. The last time we posted up it was to say we were praying towards August as a defining month. 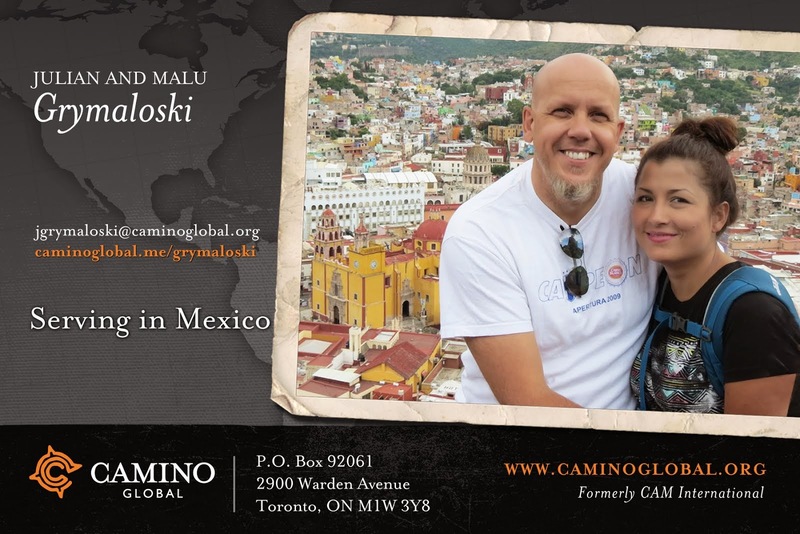 Meaning that, we had spoken with directors of Camino Global about our position in respect to being able to leave later this fall and we had asked that at the end of August they give us their prognostic for a fall departure. Well August has come and gone. The accountant has worked through the numbers and the board has met. The results came out that we do not have enough to consider a fall departure date...meaning that we wouldn’t be able to leave in either Oct, Nov or even in Dec....we were just that far off!! We had hoped to see our monthly support level increase and promised pledges come through, both of these didn’t happen to the level we need to be able to head out. There are some benefits to this. The biggest one I see is to make stronger connections between the Canadian churches here and the Mexican churches, and this also means strengthening relationships between us and fellow CAMINO missionaries. For the immediate future we’ll go to support, encourage and serve as we can, where we can and for as long as the Lord leads/provides. Other benefits are that we’re able to strengthen relationships here; encouraging people to serve and think about short term and long term activities that will share Jesus. Jos 24:15 Y si mal os parece servir a Jehová, escogeos hoy a quién sirváis;… pero yo y mi casa serviremos a Jehová.